Piers Hellawell is Professor of Composition in the School of Arts, English and Languages in The Queen’s University of Belfast, where he has taught since 1981. His music is published by Edition Peters (London) Ltd.
Piers Hellawell’s work has been commissioned, broadcast and performed in many countries; regular collaborators have included the BBC Proms, the Hilliard Ensemble, Schubert Ensemble, Philharmonia Orchestra, Swedish Chamber Orchestra and Stockholm Chamber Brass, with performances at numerous British and overseas festivals. In 1999 Inside Story was premiered at the Henry Wood Promenade Concerts; the CD of that title appeared in 2002, on the Metronome label, when it was a BBC Music Magazine CD of the Month. The same year Hellawell was featured in a major retrospective at the Kaustinen Chamber Music Festival in Finland. In 2004 Hellawell’s Cors de chasse received its world premiere at the Brighton Festival, given by Håkan Hardenberger, Jonas Bylund and the Philharmonia Orchestra. Meanwhile his set for vocal ensemble, The Hilliard Songbook, which gave rise to the Hilliard Ensemble’s ECM album of that name in 1996, is, in the words of ‘The Independent’, ‘one of the most enduring of their many commissions’. The set has been performed across the world by the Hilliard: it opened their 30th Anniversary series in London’s Wigmore Hall and also featured in the ensemble’s very final concert, again at the Wigmore, in 2014. Hellawell extended his series of concertante works in 2008 with Agricolas, for Robert Plane (clarinet) and the BBC National Orchestra of Wales, premiered at the Vale of Glamorgan Festival and described by ‘The Scotsman’ in its premiere recording as a "gorgeously impassioned work..... a rich kaleidoscope of inspired creativity". Piani, Latebre for piano was premiered by William Howard at the 2010 Spitalfields Festival, London while Hellawell’s most recent concertante venture is Syzygy, a commission for Swedish Chamber Orchestra and Stockholm Kammarbrass premiered in spring 2013, whose composition was supported by a Leverhulme Fellowship. 2015 saw work on Wild Flow, a major orchestral commission for the 2016 BBC Proms in London, described by the online journal 'thoroughlygood.me' as "a hugely entertaining new work that conjured with exciting, inventive and immersive textures. Wild Flow had clearly been orchestrated with passion. The work was full of drama. I really connected with it." 2016 also saw premiere of a collaboration Up By The Roots with Irish poet Sinéad Morrissey and Fidelio Piano Trio, with whom Hellawell has a long association, during a U.K. tour this year supported by a PRS Foundation ‘Beyond Borders’ award. Other events marking Hellawell’s 60th birthday in 2016 included Featured Composer at the Great Lakes Festival in Detroit USA in June 2016 and works at the Cheltenham International Festival in July 2016. 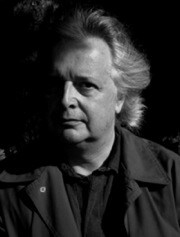 Hellawell’s works are represented on the ECM (New Series), NMC and Metier labels as well as on three critically acclaimed discs of his music from the Metronome label, from 1998, 2002 and 2008; May 2012 saw the issue of ‘Airs, Waters’, Hellawell’s first recording on the Delphian label; 'Tempo' magazine praised the disc for "music of great humanity... a first-rate musical imagination." More recently Fenella Humpheys’ recent CD recording of Balcony Scenes for violin (2014) was a BBC Music Magazine Instrumental Choice (October 2015). In November 2017 Hellawell was awarded the Arts Council of Northern Ireland's Major Individual Award to enable CD recordings of works since 2009. Early in 2018 the same project won him additional funding via one of the UK Composer's Awards from the PRS Foundation Composer's Fund.